What are the top landmarks in Newport? Explore the great outdoors at Seaclose Park, a lovely green space in Newport. Wander the beautiful beaches and seaside in the area. Step back in time and learn more about local history with a stop at Carisbrooke Castle in Newport. Wander the area's beautiful beaches or simply enjoy one of its top-notch restaurants. Explore the waterfront in Southampton with a trip to Southampton Cruise Terminal. Discover the area's top-notch restaurants and its acclaimed theatre scene. Stroll along miles of England’s southern coast and stop at the fun parks and activity centers along the way. Learn more about the local history when you visit Portsmouth Historic Dockyard, a well-known historical site in Portsmouth. Amble around this relaxing area's waterfront and enjoy its lively bars. After visiting Bournemouth International Centre, make a plan to see the other sights and activities in Bournemouth. Stroll along the area's seaside or simply savour its top-notch restaurants. 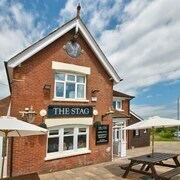 Situated in Newport, this inn is close to Carisbrooke Castle, St. Thomas Church, and Seaclose Park. Local attractions also include Robin Hill. 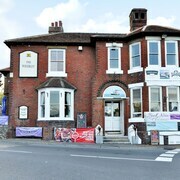 Situated in Newport, this guesthouse is within 1 mile (2 km) of Carisbrooke Castle and St. Thomas Church. Seaclose Park is 1.4 mi (2.3 km) away. 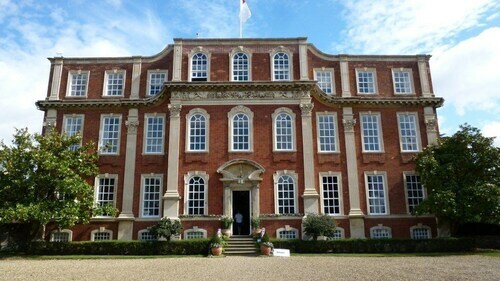 Good location, Olney and Newport Pagnal just a few minutes away. 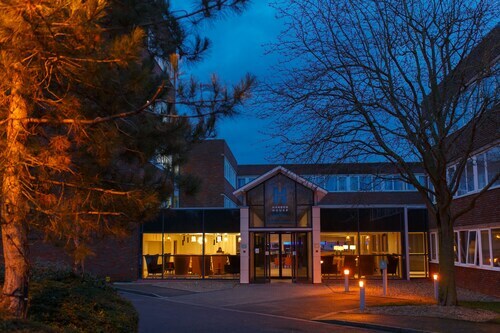 The hotel is in a quiet area but close to the centre of Newport Pagnell. 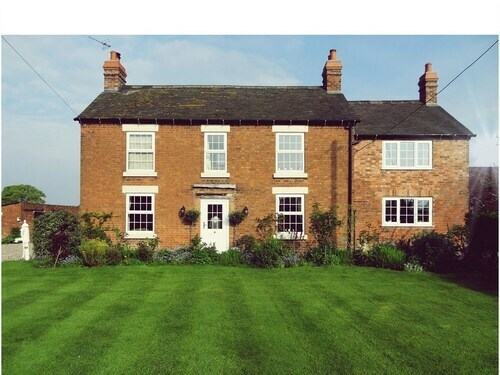 We were visting family in the area, but have stayed in North Shropshire before. Set a few miles south of the mainland, the Isle of Wight offers a unique holiday retreat for tourists in the United Kingdom. From tip to tip, the island boasts some of the most dramatic scenery, spanning unspoiled rural landscapes to first-class beaches. One of the island's most popular spots lies at its very heart, in the county town of Newport. Blessed with plenty of fine B&Bs and hotels, Newport acts as a great base from which to explore the island. 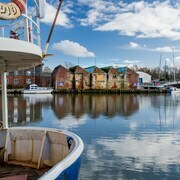 Despite not being far from the centre of the Isle of Wight, Newport actually sits on the River Medina, which splits the island at its most northerly point. Visitors to Newport can take a gentle boat ride down the river, to check out Cowes at the mouth, or even venture out into the Solent. Alternatively, the quayside in Newport is a pleasant spot to sit and enjoy an evening drink. 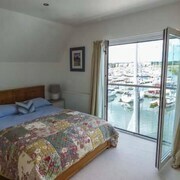 As the county town, it's hardly surprising that Newport is home to some of the most popular B&Bs and hotels on the Isle of Wight. 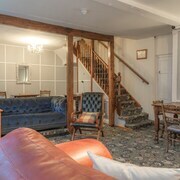 From the Newport Quay Bed and Breakfast to Snowdrop Cottage, there's no shortage of intimate places, ideal for a quiet stay in this busy little town. 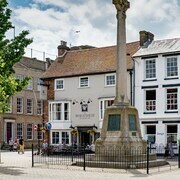 Located almost exactly in the centre of the Isle of Wight, Newport is the obvious choice for visitors keen to explore every corner of the island. The west of the island is particularly popular with walkers. Here, visitors will find the iconic Needles, Tennyson Down and the famous multi-coloured sands of Alum Bay. The east of the island is more popular with families. In addition to a number of lively towns, there are also plenty of beaches in the east which offer safe swimming, suitable for kids. 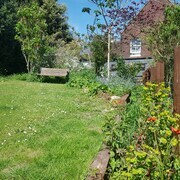 Between Newport and the east are also some of the island's foremost attractions, such as Dinosaur Isle and the Brading Roman Villa. Explore Newport with Expedia's Travel Guides to find the best flights, cars, holiday packages and more!